This building is open between Memorial Day and Labor Day only (when staffed). Pioneer Machinery Hall (often referred to as the Pioneer Machinery Building) was built as a cooperative project of the City of Dickinson, Stark County and the Stark County Historical Society. 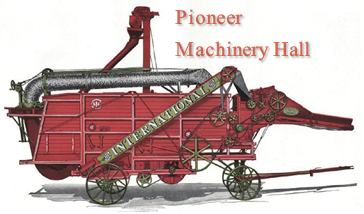 Built to house the Historical Society’s extensive collection of agricultural implements and equipment the display opened on May 13, 1992. 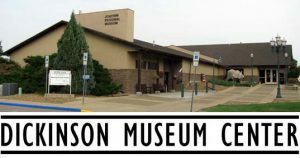 In 2017 the exhibition space was upgraded by the Society with the aid of a Cultural Heritage grant from the State of North Dakota. This building is accessible for visitors with disabilities, and includes a unisex, accessible rest room.